The more popularity WordPress gains, the more of a hacker target it becomes. 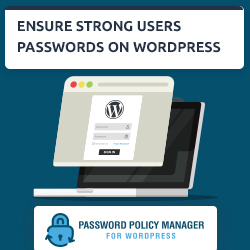 More than ever before, WordPress security experts are recommending bloggers and webmasters to invest in WordPress security if they want to ensure smooth running of their business WordPress blogs and websites. Unfortunately though, many WordPress users are not tech savvy and WordPress security is not their cup of tea. To make things worse, if WordPress users try to secure their WordPress it gets a little bit complicated since there are too many WordPress security solutions and services available, and users wouldn’t know from where to start. Should you host WordPress with a dedicated WordPress hosting provider such as SiteGround, or should you host WordPress with a low cost hosting provider and subscribe to an online WordPress security scanner such as Sucuri? Or why don’t you hire a WordPress expert to perform a WordPress security audit and hardening? In this WordPress security article we will give you the information you need about each option so you can decide for yourself which is the best WordPress security solution that fits your requirements. Online WordPress security scanners such as Sucuri are a good option as a website watchdog; they alert you if there is something wrong with your website of it has been infected with malware. Though online WordPress security scanners won’t secure your WordPress. They won’t even protect your WordPress blog or website from getting hacked. Some of these WordPress scanning services also provide malware removal service at a very low price. This is a good feature though by removing the malware infection from a WordPress blog or website, you are simply removing the infection and not closing the security holes from where the hackers managed to get in. So in this case, unless the service also includes WordPress security hardening, it is simply not a good enough solution because the chances that hackers will return again to infect your WordPress with malware are very high. Secure WordPress hosting is also very important, and that is why we recommend SiteGround as a hosting provider. 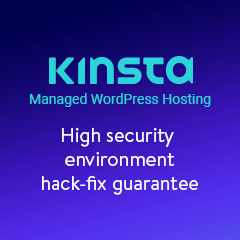 Through the years we have seen a couple of incidents where a WordPress blog or website was properly secured yet hackers still managed to hack in through a security hole in the hosting provider’s network. In the web security industry it is impossible to guarantee that a website will never get hacked, though every little bit helps. All WordPress security plugins available in the WordPress plugin directory are good but it is difficult to suggest one. Choosing the best WordPress security plugin depends on your installation and requirements. We do recommend you to first read the Ultimate guide to understanding WordPress security plugins, then test some of them and install one to ensure that the basics of WordPress security is covered. Educate yourself on WordPress Security: If your business depends on WordPress, educate yourself about WordPress and the basic skills you need to maintain it. No need to become the next Kevin Mitnick, but by following a simple online course such as WordPress security for beginners you will learn a great deal about the basics of WordPress security and what you should do to keep your WordPress malware free. Keep your WordPress Up to Date: By always using the latest version of WordPress you ensure that you always run the most stable and secure version of WordPress. Use Strong Passwords: We cannot stress enough on this one. It is very important to use strong passwords. 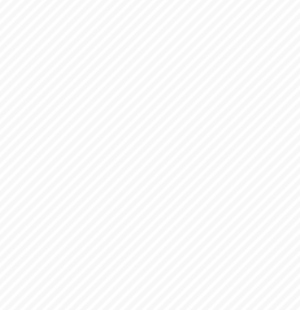 By strong password we mean a non dictionary word which is longer than 8 characters and should include lower caps and upper caps letters, numbers and special characters such as !,? etc. Hire a WordPress security expert: You should hire someone to harden your WordPress and then make a WordPress security audit, at least once a year. The bigger your WordPress installation is and the more functionality it provides, the more frequent you should audit the security of your WordPress. WordPress security is evolving every day so by hiring WordPress security experts you are ensuring that the plugins, themes and setup you are using are secure. Subscribe to an online WordPress security scanner: Even though you hire a WordPress security expert for manual WordPress security audits, or to harden your WordPress it is still important to have an automated WordPress security scanner monitoring your website on a daily basis, such as Sucuri. Backup your WordPress frequently: WordPress backup is one of the most important ingredients for a complete WordPress security recipe, yet most bloggers and webmasters forget about it. A WordPress backup comes in handy in case you need to restore your websiteif it is hacked. It also helps you retrieving lost data in case your WordPress data has been tampered with. An excellent WordPress backup solution we trust is Backup Buddy. Choose the right hosting provider: Last but not least, a good hosting is always recommended. We always recommend what we use; SiteGround. In case your WordPress has been hacked or infected with malware, ideally you should hire WordPress security experts to ensure that all security holes in your WordPress are properly closed and the hacker’s mess is properly cleaned up. 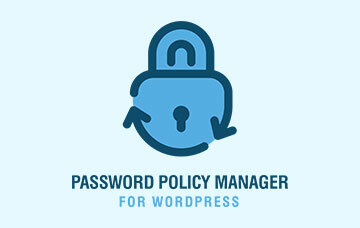 The most important part in wordpress security is regular update of CMS and plugins. WordPress announces its’s updates as soon as they founds any flaw in existing version which gets notified by many malicious coders. Even, I had surrendered my earlier wordpress site to hackers just because my wordpress CMS was not up to date. That is correct and that is what we highlighted in our article. Unfortunately many bloggers and WordPress webmasters are afraid of upgrading fearing of breaking something.